For people with smaller volumes of meat to grind, this would be a great product at a great price. It does not have fancy features, but is of very high quality, and will certainly grind all your meat really fast. If you are looking for a great meat grinder at a reasonable price, then this would be your best bet. This grinder falls on the higher end of the meat grinder spectrum but is still much cheaper than most similar products. LEM Products employed Big Bite technology when designing this machine. Simply, this technology allows the meat grinder to take big amounts of meat at a time without clogging the machine. It has a rifled head, which makes the second grind easier. With this machine, you can grind a whole 4lb of meat in a minute. I couldn’t even feed the machine fast enough! It is a good idea always to get your meat ready before you start grinding since this machine works at an amazing speed. As a heavy duty machine, this meat grinder could comfortably handle all the meat I had at home. It obviously can’t withstand any commercial use, but for home use, it works better than most alternative products. Loud grinders can also get very irritating, and this is why this particular one has gears that run without making much noise. If you are like me, you also like your appliances to look good in your kitchen. The design of this meat grinder is pretty good, and will definitely look awesome in your kitchen. It also helps that it is made of silvery stainless steel. And since all parts are made of stainless steel, with absolutely no coating, you can easily clean them up using your dishwasher. The cleaning process can be completely automated if you don’t like the old fashion way of cleaning manually. This can save you some time, and energy. After cleaning it up, you should spray the parts with food grade silicon to prevent corrosion of the machine. You also do not need to worry about food safety with this meat grinder. It is ETL certified, which means it meets the safety standards of the NSF. This means that it can be safely used to prepare food intended for human consumptions. Having said enough about the quality of this, you can still take advantage of their guarantees if anything fails to meet your expectations. 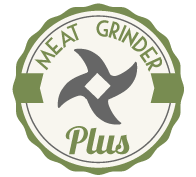 Like all heavy duty stainless steel LEM meat grinders, this meat grinder is covered by a 30-day money back guarantee, and a 5-year warranty. Being a not-so-expensive meat grinder, you shouldn’t expect the absolute best with this machine. It definitely qualifies as a great meat grinder at its price, but it still has its flaws. One of this is the fact that it has a very small opening for feeding the meat. I have had to cut the meat into very small pieces before getting it to be ground, and I can’t say that has been an easy task. If you are planning to grind a couple of deer in just a short period of time, then this product might fail you. I haven’t used it for heavy tasks myself, so I haven’t experienced this. It heats up when operating on larger tasks, so I don’t really think it will be able to comfortably grind large amounts of meat. The machine is particularly meant for smaller scale jobs at home, and not for commercial purposes. The machine weighs 32 pounds, and many people will find it very heavy to move around. Being such a big machine, you will also need quite some room to keep it. In my case, I found it fits easily on my kitchen counter. It is about 2 feet long. 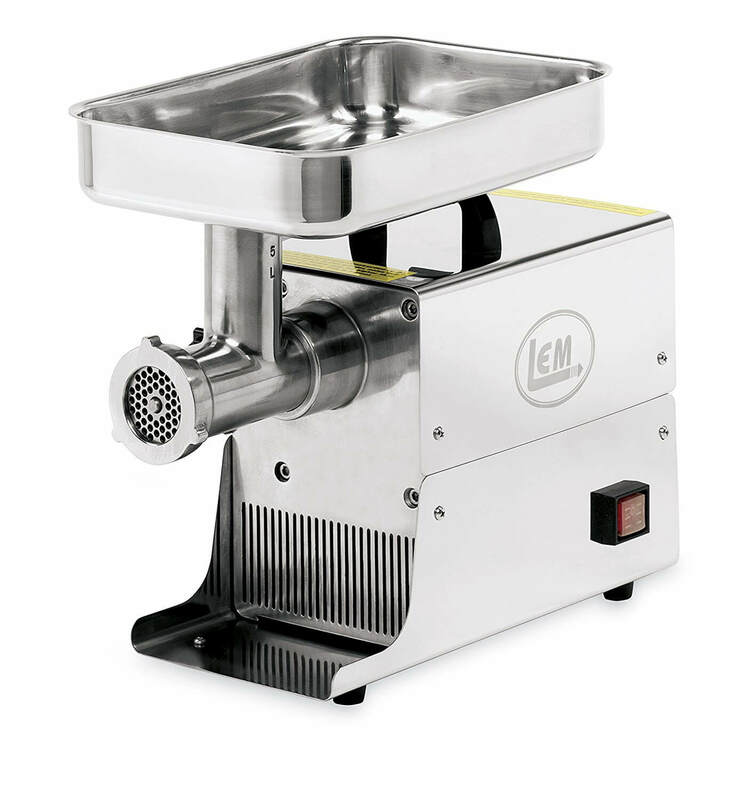 LEM is one of the names you hear when people talk about meat grinders. Being an old and established company, it does its best to give its customers value for their money. The 5 SS Big Bite Grinder is designed to exceed your expectations, and for a relatively low amount of money. If you are working on a budget, and need a machine to handle little meat grinding jobs, then this machine is what you need to go for.